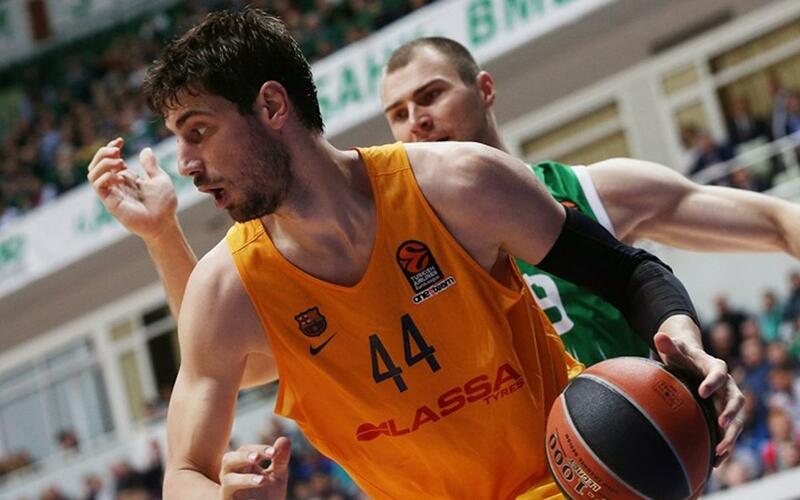 Barça Lassa got their campaign in the new-look Euroleague off to a fine start with a 63-69 win at Unics Kazan, all thanks to a wondrous comeback in the final period. Justin Doellman (23), Ante Tomic (13) and Juan Carlos Navarro (13) led the scoring on a memorable evening in Russia. Back-to-back threes from Claver, Doellman and Rice bounced Barça back to 8-9 after a slow start and 3-pointers continued to contribute to what would be a a 21-23 lead by the end of the first period. That was followed by ten minutes in which neither side seemed to move any higher than third gear, and that was reflected by remarkably little change in the overall situation. By the interval, Barça led by two on 34-36. It was a scrappy game, and it was the Russians who did at least manage to up things a notch when play resumed, moving ahead with a 9-2 streak. For Barça Lassa, things just weren’t slotting into place and another low-scoring quarter ended with them trailing by eight at 51-43, and only having added seven points to their account. Five more from Unics Kazan looked to have decided the outcome at 56-44 and the home pavilion was roaring. But Bartzokas never gave up on the cause and inspired his team to go out and storm a 2-16 streak. Navarro hit on some exceptional form and with three minutes left, we were all square on 60-60. The Catalans used all their experience to steer their way through the endgame, defending mightily, taking exceptional caution with defensive rebounds and building some lethal counters. The sudden resurgence of the visitors hit the home side hard, and Tomic and Doellman stepped up to deliver the killer blows. A game that had looked lost had ended up being a famous victory and the perfect start to Barça’s European campaign.